If you are interested in serving as an ANAB Technical Assessor and learning the mechanics of the assessment process, this is the course for you! The primary goal of this course is to train individuals to serve as an ANAB technical assessor in the application of ISO 19011, Guidelines for Auditing Management Systems, during the assessment of a forensic science testing or calibration laboratory. This course will provide an attendee with a thorough review of ISO/IEC 17025:2017 and the Forensic Science Testing and Calibration Laboratories Accreditation Requirements (AR 3125) and the assessment process. In addition, through various practical exercises, classroom discussions and a final examination, each attendee will gain specific knowledge regarding how to apply the accreditation requirements to a forensic science testing or calibration laboratory and learn numerous assessment methods and skills for collecting objective evidence. Please Note: Courses presented after March 1, 2019 will be presented in a new course format. Offsite Course Schedule (1 day): Approximately, eight hours of online self-paced, web-based review of quality concepts, ISO and the Development of ISO/IEC 17025; ANAB History and the Accreditation Program; Review of the ISO/IEC 17025:2017 and ANAB Requirements for Testing and Calibration Laboratories (AR 3125); as well as Tips for Applying ISO/IEC 17025:2017. Onsite/in-person course content includes a thorough review of the ANAB assessment process detailing the technical assessor’s role and responsibilities, preparing for and conducting an assessment activity, using Sharefile and the assessor’s note form as well as discussing and employing, through practical exercises, various audit methods for collecting objective audit evidence. Note: The registration fee includes a copy of ISO/IEC 17025. Attendees will be responsible for any travel, lodging and meal expenses. Lunches and breaks will be “on your own” and are not included in the fee. 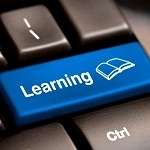 Interested in being a Technical Assessor for ANAB Forensic Accreditation Programs? The ANAB Assessor Manual for Forensic Accreditation Programs (ANAB Manual del Evaluador para los Programas de Acreditación Forense) provides information on required qualifications and more. 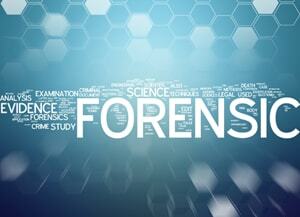 Complete the Forensic Technical Assessor Application.